Everyone can use a pocket notebook! These pocket note pads are a handy tool anyone can use. 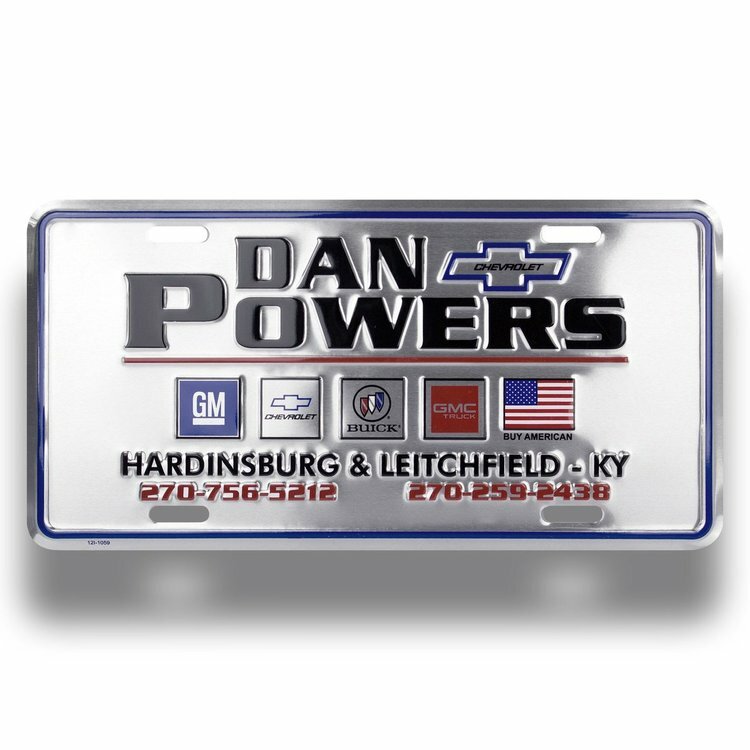 The entire front cover is customizable with your logo and information. 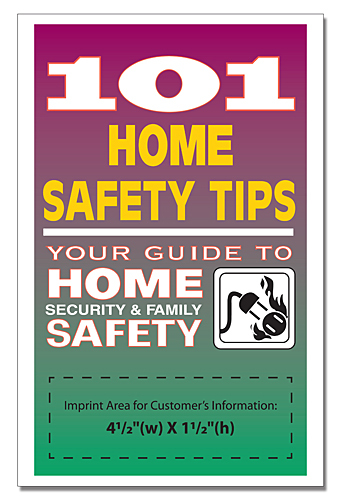 The cover is printed in full color and UV coated for extra protection. Inside features 50 lined sheets for taking notes or making lists. • FREE SET-UP • Full-color 10 pt. laminated front cover • 50 white 50 lb. offset pages • Spiral binding • Prices include Full-Color Front Cover Imprint. 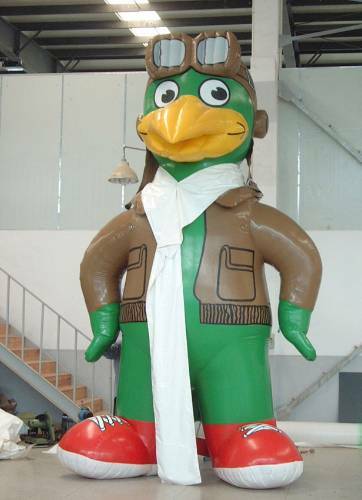 Increase brand visibility with a custom sign that is sure to give your message repeated exposure! This Embossed Aluminum Sign measures 12" x 18", making it a perfect adornment to any wall. 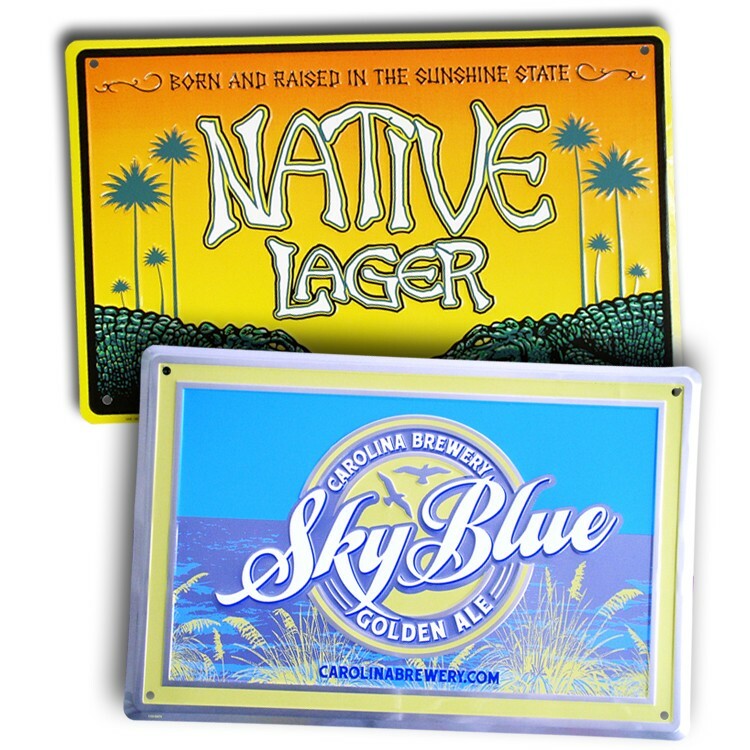 This sign is the ideal promotional item for bars, restaurants and sports teams alike! 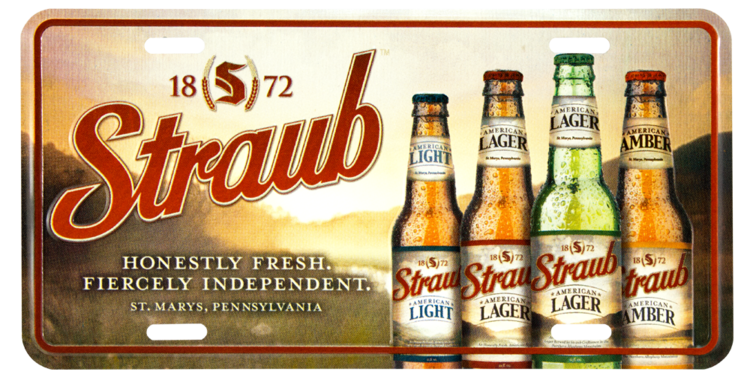 The recycled aluminum construction has a .024" thickness and is made in the USA. 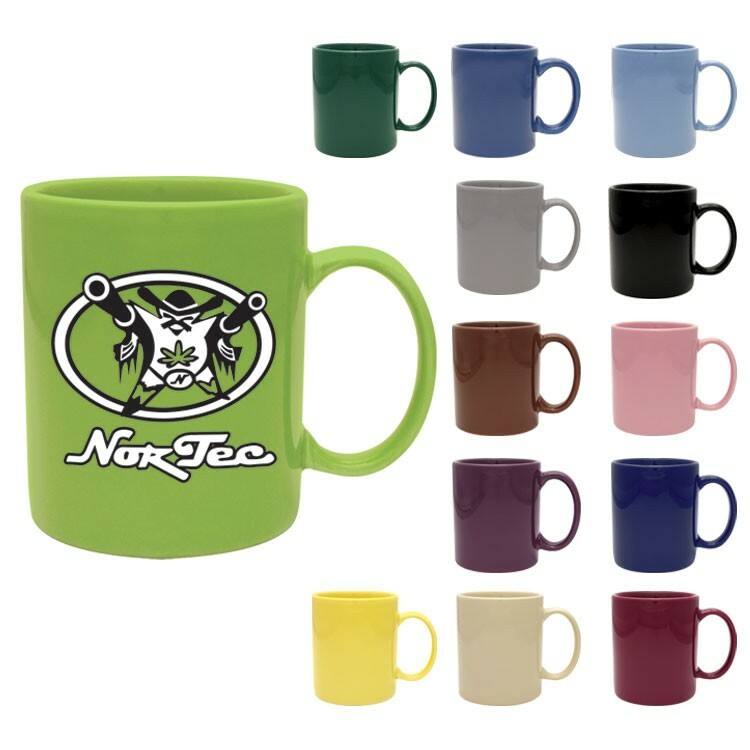 Promote your next special event with a product that is sure to impress your valued clients. 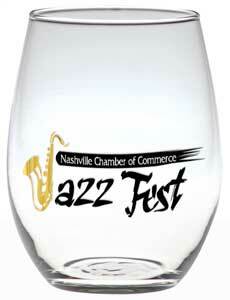 Add some extra flair to your festival, event, or holiday party with this stunning sampler glass! With repeated exposure for your brand name and logo, it'll keep everyone talking about you. 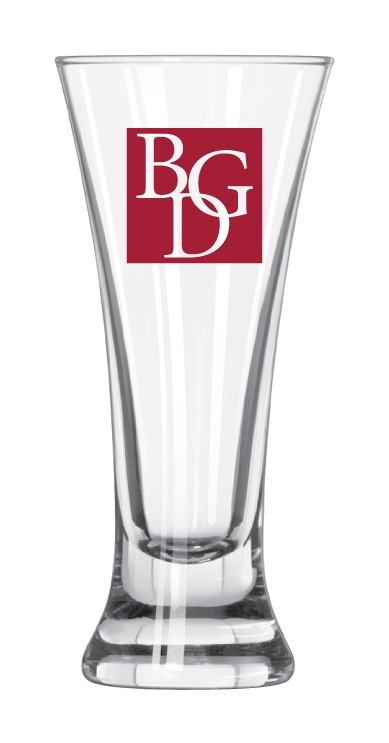 Pilsner glasses are a bar and restaurant essential. Customize for any event! Ely has been a trusted name in Westernwear since 1878. The Lurex Western is comes with a little extra "yee howdy!" The woven texture stripe pattern adds a little flare for the cowboy that wants to show off a bit. • 4 oz. 80/20 polyester-cotton • yarn dye and woven textured stripe pattern • six white pearlized snap placket • spread collar • western yoke • two covered chest snap pockets • left chest pocket with top pen slot • three white pearlized snap cuff Great for western themed events such as an old fashion square dance, corporate retreat at a dude ranch, or a country western ho-down. Ely has been a trusted name in Westernwear since 1878. 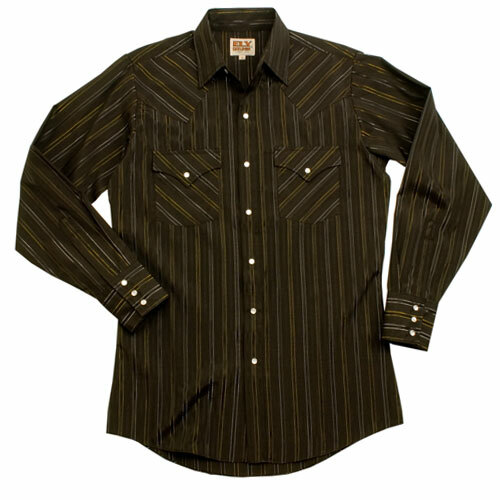 The tone-on-tone western shirt offers a subtle hint of style for the cowboy with more discerning taste. • 4 oz. 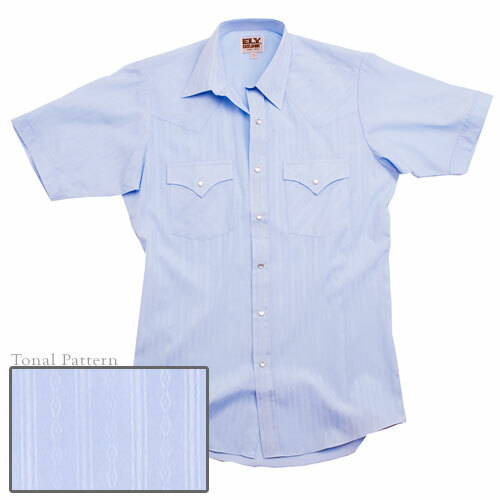 80/20 polyester-cotton • tone on tone woven pattern • six pearlized snap placket with white button at neck • spread collar • western yoke • two covered chest snap pockets • left chest pocket with top pen slot • three snap button cuff • short sleeve available 201634 Great for any western themed event such as an old fashion square dance, corporate retreat at a dude ranch, a country western ho-down, or just an outdoor picnic. Ely has been a trusted name in Westernwear since 1878. The tone-on-tone western shirt offers a subtle hint of style for the cowboy with more discerning taste. 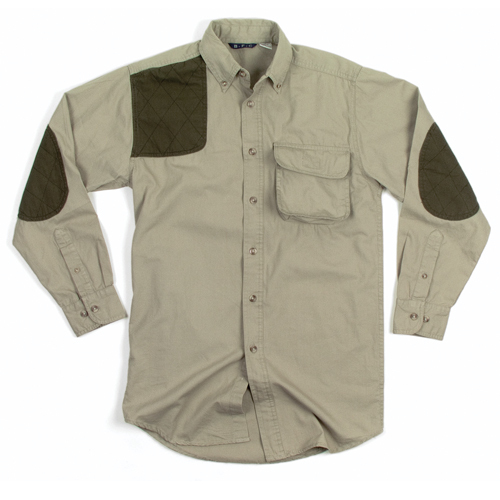 And this particular short sleeve version is good for when the high noon sun is too much to bear. • 4 oz. 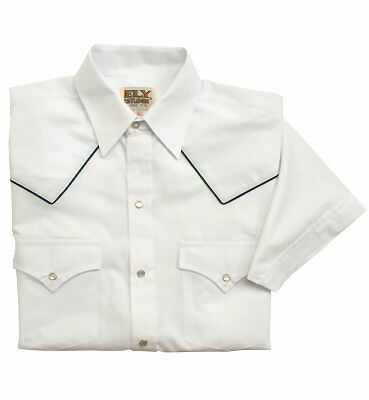 80/20 polyester-cotton • tone on tone woven pattern • six pearlized snap placket with white button at neck • spread collar • western yoke • two covered chest snap pockets • left chest pocket with top pen slot • Long sleeve available 201934 Great for any western themed event such as an old fashion square dance, corporate retreat at a dude ranch, a country western ho-down, or just an outdoor picnic. Ely has been a trusted name in Westernwear since 1878. 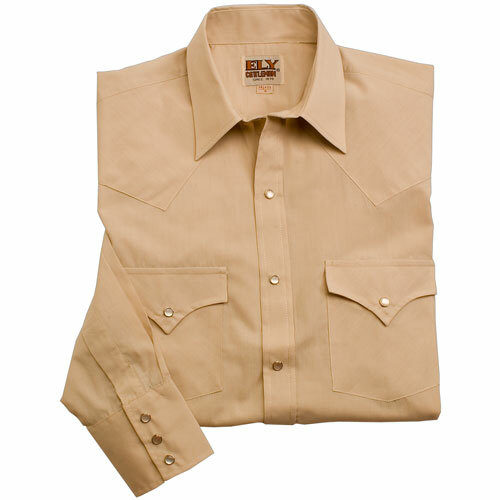 The solid western shirt is an apparel standard for any cowboy. And this particular short sleeve version is good for when the high noon sun is too much to bear. • 4 oz. 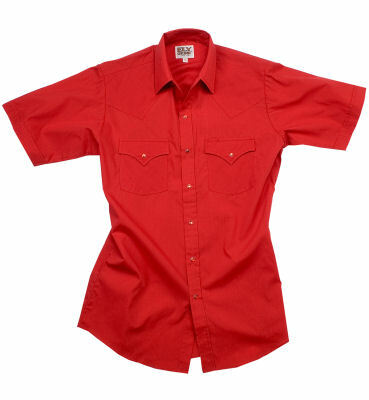 65/35 polyester-cotton • six tonal pearlized snap placket with tonal button at neck • spread collar • western yoke • extra long tail • two covered chest snap pockets • left chest pocket with top pen slot • Long sleeve available 201905 Great for any western themed event such as an old fashion square dance, corporate retreat at a dude ranch, a country western ho-down, or just an outdoor picnic. Ely has been a trusted name in Westernwear since 1878. The solid western shirt is an apparel standard for any cowboy. • 4 oz. 65/35 polyester-cotton • six tonal pearlized snap placket with tonal button at neck • spread collar • western yoke • extra long tail • two covered chest snap pockets • left chest pocket with top pen slot • three tonal snap button cuff • short sleeve available 201605 Great for any western themed event such as an old fashion square dance, corporate retreat at a dude ranch, a country western ho-down, or just an outdoor picnic. Ely has been a trusted name in Westernwear since 1878. 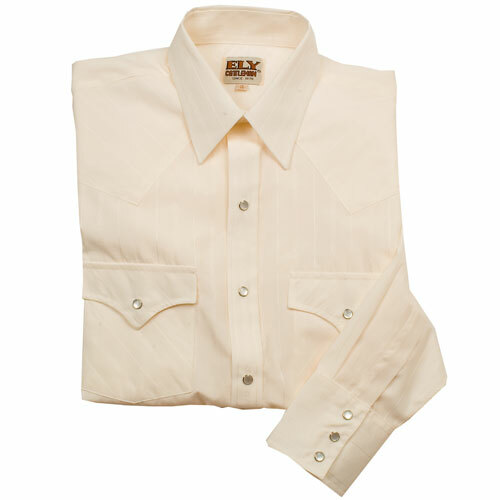 This piping western shirt provides a little extra style with contrast piping on the yoke and white pearlized snap buttons. And this particular short sleeve version is good for when the high noon sun is too much to bear. • 65/35 Poly/Cotton 4 oz. • True American Westernwear design • Six white pearlized snap placket with white button at neck • Spread collar • Western Yoke with contrast piping • Two covered chest snap pockets • Left chest pocket with top pen slot • Long sleeve available 202980 Great for any western themed event such as an old fashion square dance, corporate retreat at a dude ranch, a country western ho-down, or just an outdoor picnic. 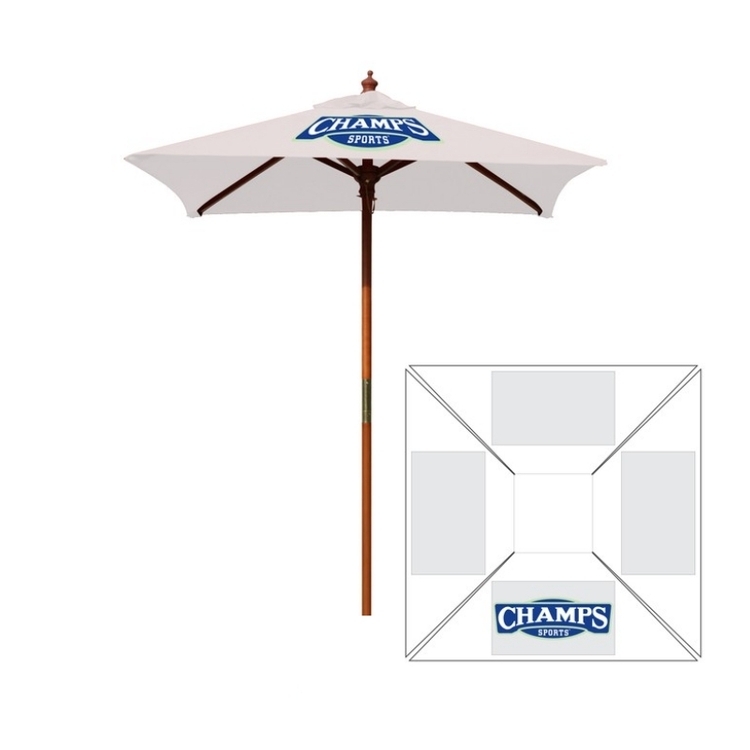 Our 4' Square Umbrella features a clean, sleek appearance without a valance. It is simple to set up for use, durable wood ribs and a center pole. It includes 4 umbrella panels with the total length of 58" rib to rib when set-up. 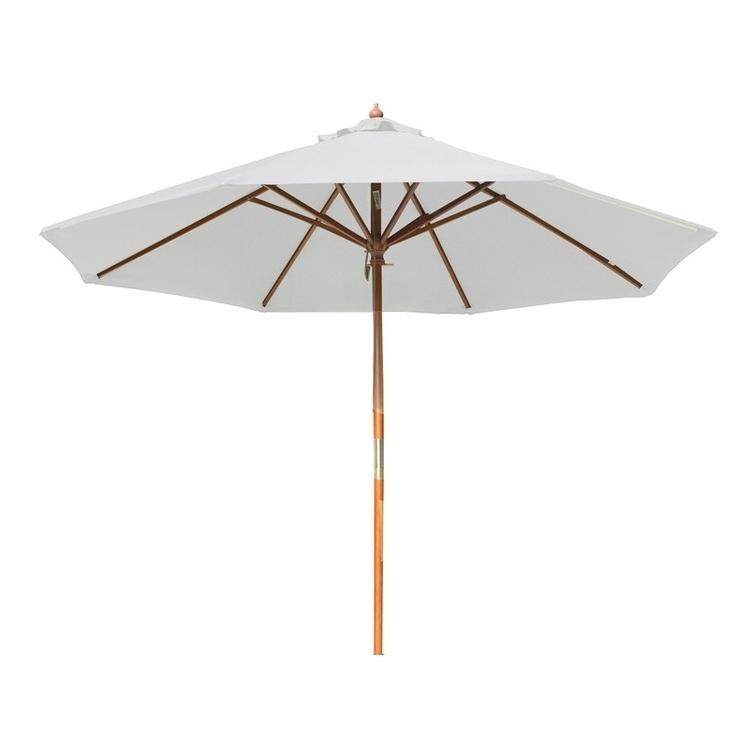 The 1.5" center pole is ideal size for fitting most umbrella post holes in your patio, picnic or bistro table. 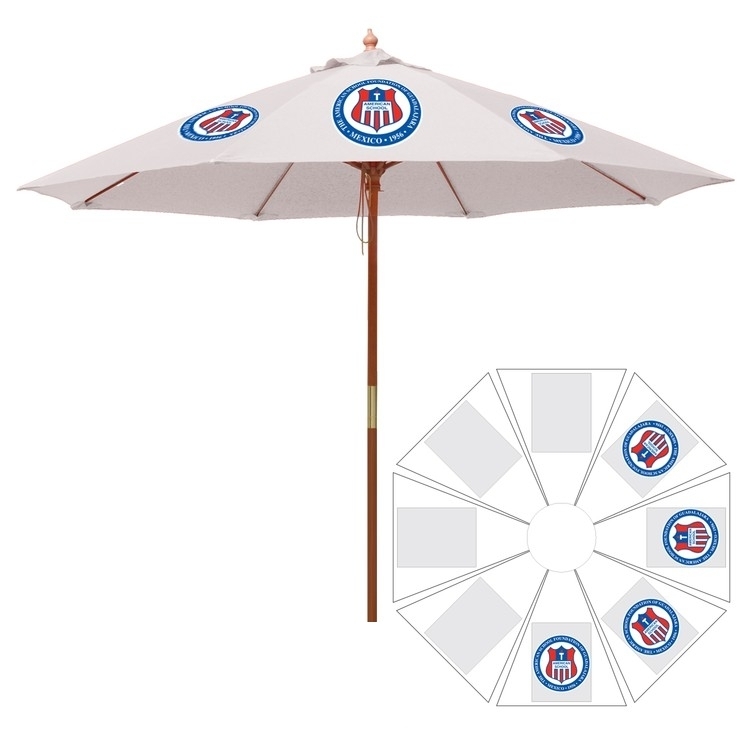 Our market umbrella design features an extra crown of fabric at the top, which is called a wind vent. 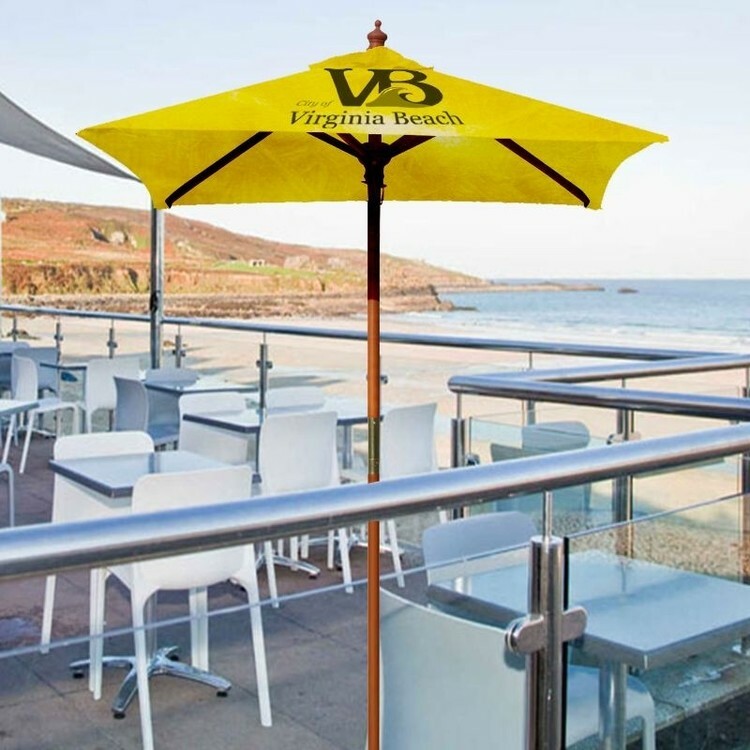 This practical design allows for temporary gusts of wind to escape from underneath the umbrella cover. This item is perfect for use at restaurants, cafes, and resorts as well as in personal home outdoor living areas. 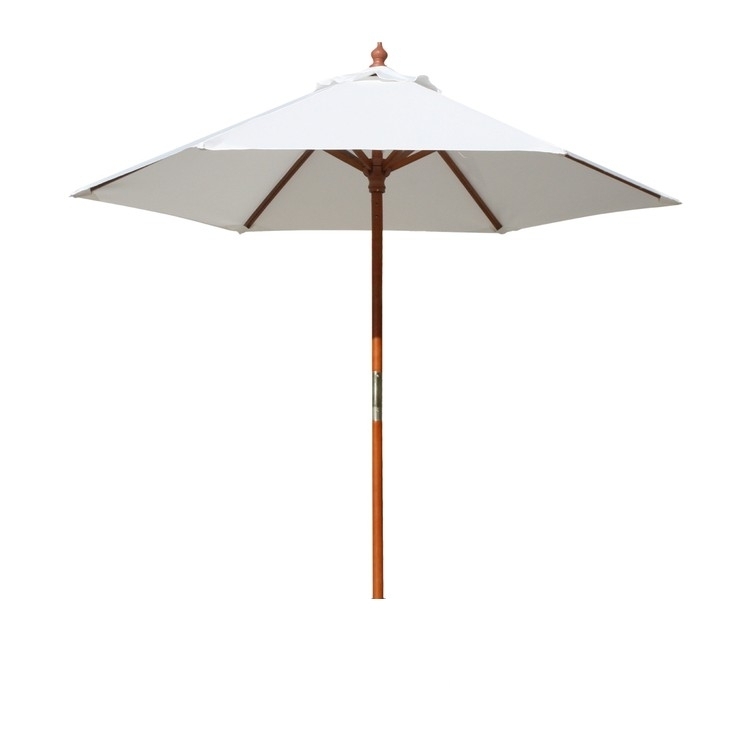 Our 9' Round Umbrella features a clean, sleek appearance without a valance. It is simple to set up for use , durable fiber ribs and a center pole. It includes 8 umbrella panels with the total length of 39" rib to rib when set-up. The 1.5"center pole is ideal size for fitting most umbrella post holes in your patio, picnic or bistro table. 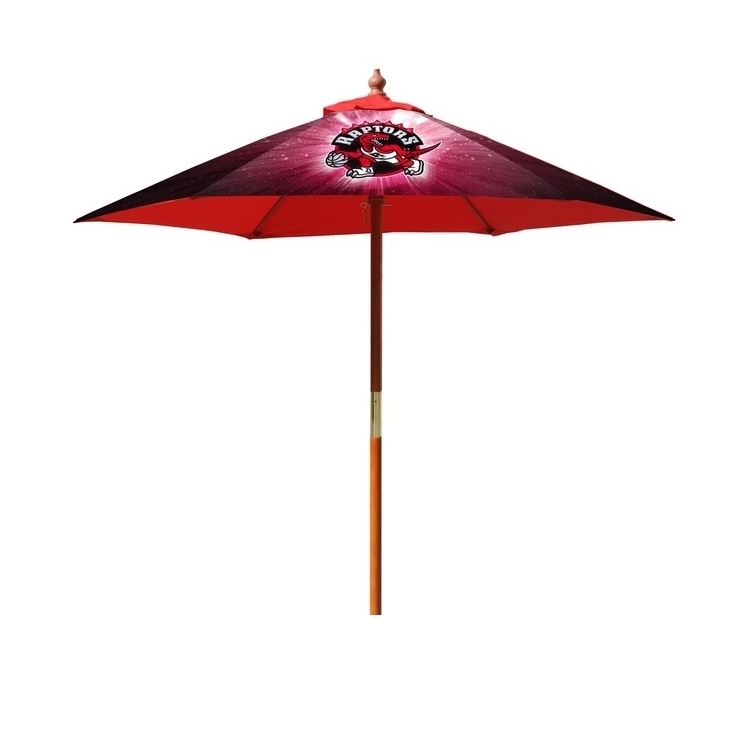 Our market umbrella design features an extra crown of fabric at the top, which is called a wind vent. This practical design allows for temporary gusts of wind to escape from underneath the umbrella cover. This item is perfect for use at restaurants, cafes, and resorts as well as in personal home outdoor living areas. 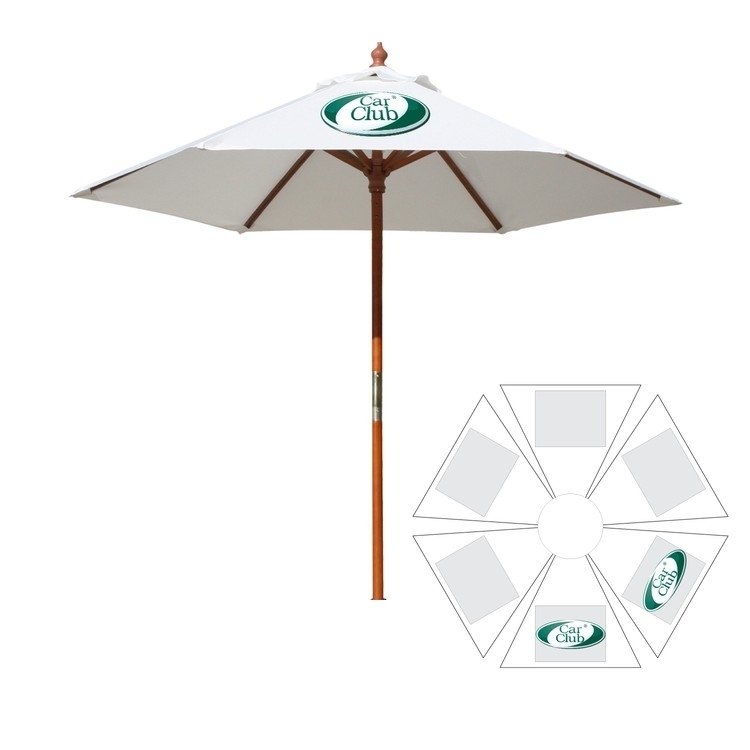 Our 9' Round Umbrella features a clean, sleek appearance without a valance. It is simple to set up for use, durable wood ribs and a center pole. It includes 8 umbrella panels with the total length of 39" rib to rib when set-up. 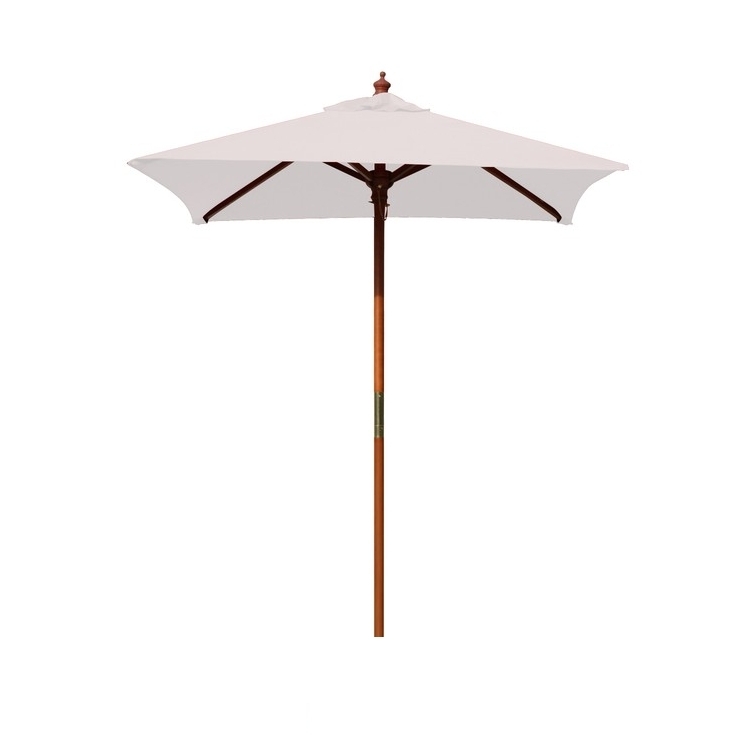 The 1.5"center pole is ideal size for fitting most umbrella post holes in your patio, picnic or bistro table. 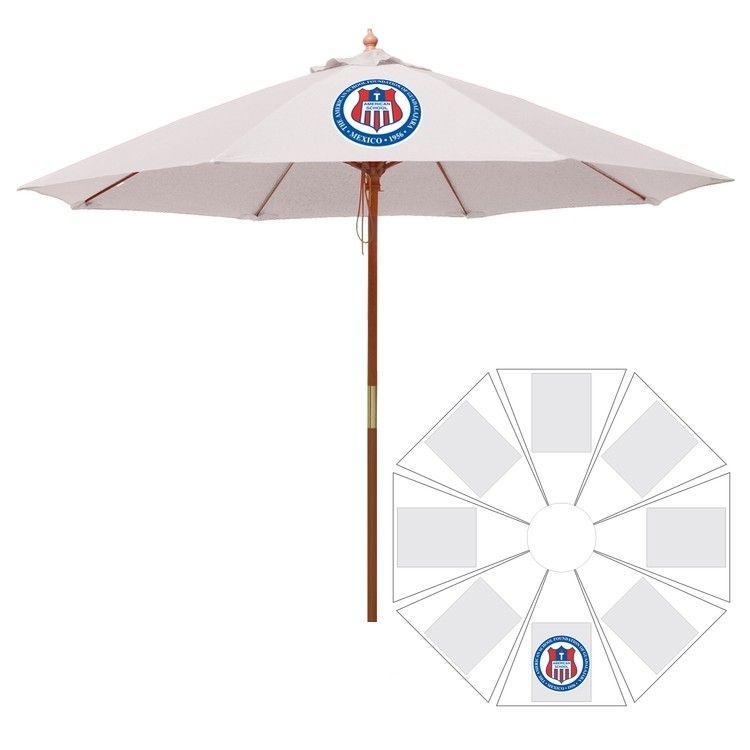 Our market umbrella design features an extra crown of fabric at the top, which is called a wind vent. This practical design allows for temporary gusts of wind to escape from underneath the umbrella cover. This item is perfect for use at restaurants, cafes, and resorts as well as in personal home outdoor living areas. Our 9' Round Umbrella features a clean, sleek appearance without a valance. It is simple to set up for use, durable fiber ribs and a center pole. It includes 8 umbrella panels with the total length of 39" rib to rib when set-up. 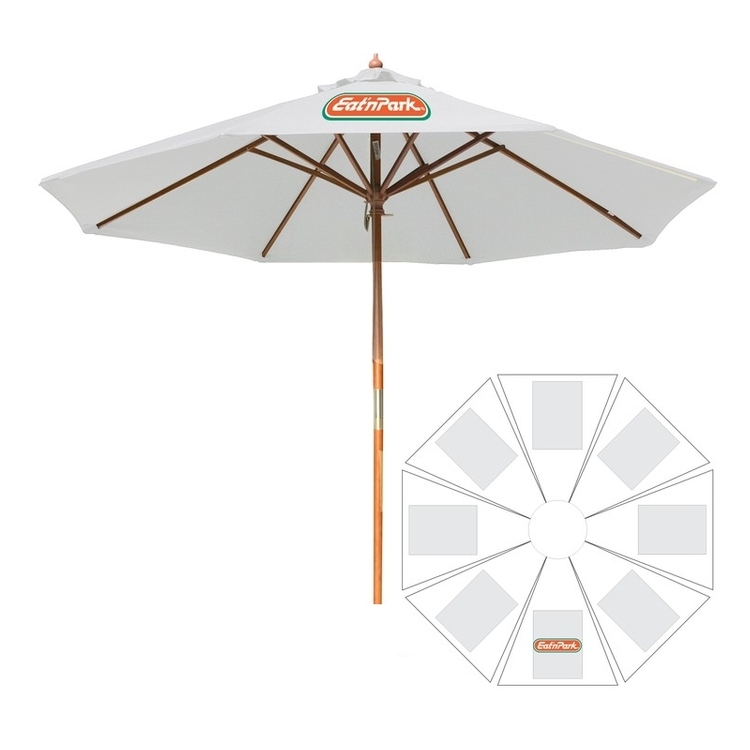 The 1.5"center pole is ideal size for fitting most umbrella post holes in your patio, picnic or bistro table. Our market umbrella design features an extra crown of fabric at the top, which is called a wind vent. This practical design allows for temporary gusts of wind to escape from underneath the umbrella cover. This item is perfect for use at restaurants, cafes, and resorts as well as in personal home outdoor living areas. Wet It! Wear It! Stay cool anywhere! Cooling towel stays 15 to 20 degrees cooler then the air. 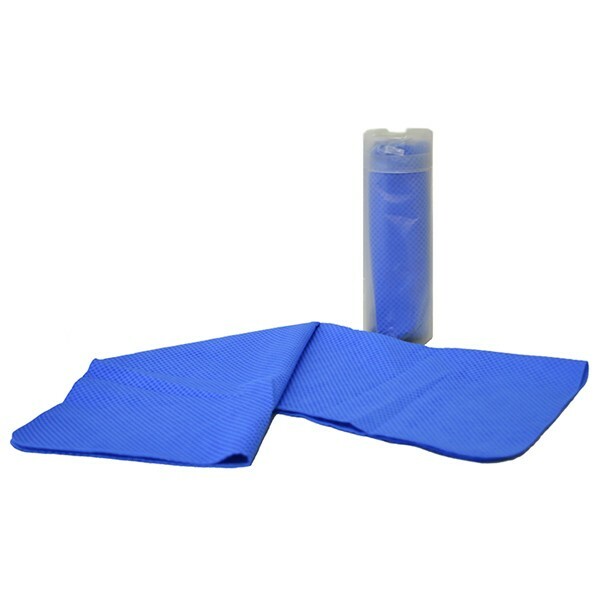 This towel is good for 5K runs, Relay for life, Golf Outings, Construction, and any event where people are in the sun or a hot environment. Wear it around your neck. Keeps cool for hours. Just wet it with cold water and shake to activate. Blank stock - imprint options available. 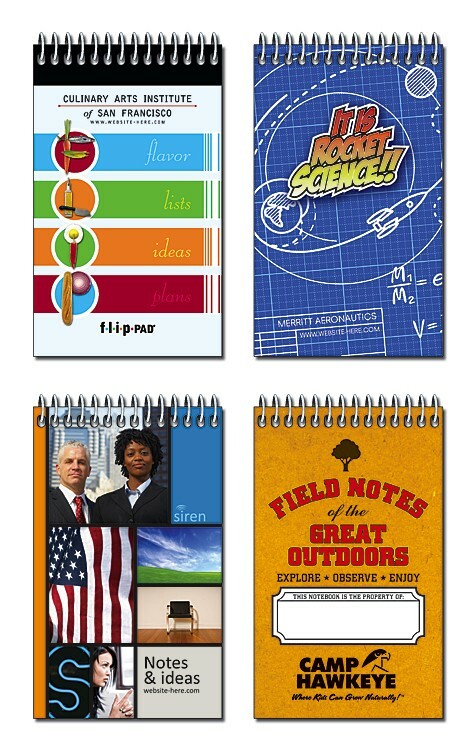 Closeout, fund raising, specials, business, loyalty, pocket, hand, promotional products. Challenge coins, a part of military history since WWI are quickly becoming a favorite team building tool for corporate America. 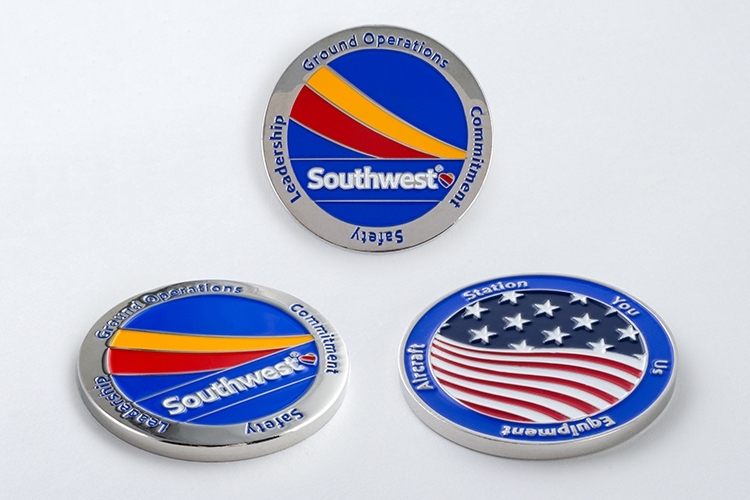 Our custom die-struck coins with soft enamel color are perfect for honoring and rewarding both military and civilian teams. Die struck coins offer the crispest details and a high end look. Available in custom shapes, sizes and thicknesses. A quality die struck custom challenge coin will be treasured by the recipient for years to come. Great for storage or displaying colorful candies, this Apothecary Jar with a lid holds 31 oz. and is a great item to customize for your valued clients. 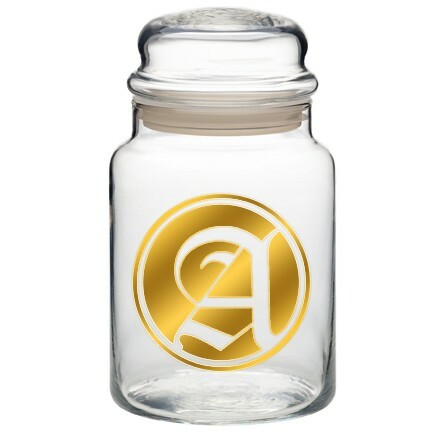 With personalization options that are virtually endless, this apothecary jar can be customized to your specifications so you can create a one of a kind product that is sure to stand apart from the rest. Jars are ideal for decorative purposes or can be filled with household essentials!